1. It gives your immune system a boost. infection, as well as helping to control blood pressure and work as an anti-inflammatory. 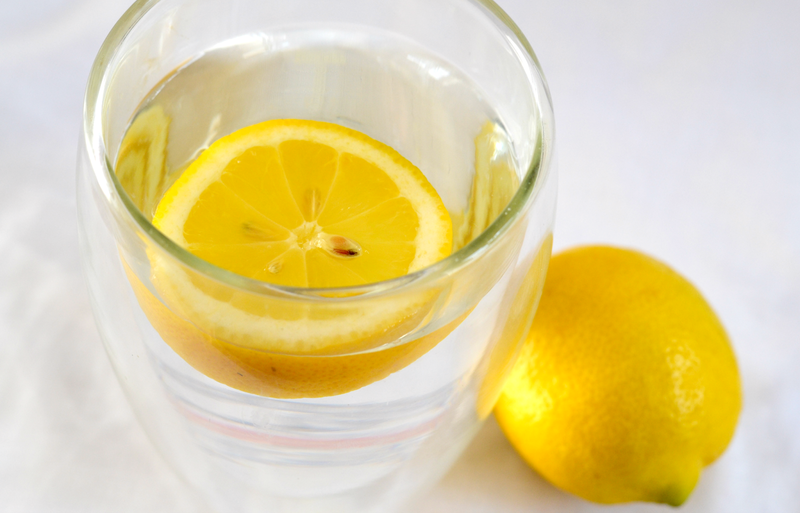 Having a glass or two of lemon water a day may help to keep those colds at bay. 2. It aids the digestion of your food. to saliva and digestive juices, making it a natural ‘boosting’ product that can keep us feeling healthy inside and out. It even helps to stimulate your bowels, relieving constipation or helping to regulate your poops. 3. It keeps skin looking healthy. The vitamin C within lemons is vital for a healthy and glowing complexion, as well as helping to combat fine lines and imperfections. Lemons also help to rid toxins from the body and kill bacteria, making them the perfect acne-fighting food. All in all they can seriously help to keep skin looking healthy and youthful when their juices are consumed regularly. 4. It provides an energy boost. Lemons have a unique alkaline structure that works with your digestive system to provide a little boost of energy when it enters. Not only that, but the juice can provide uplifting mood benefits too – the refreshing taste can help to invigorate the senses and awaken the mind. So much greatness from a little yellow fruit! 5. It aids weight loss or weight control. High in pectin fibre, which helps to fight hunger cravings, lemon water can actually help you lose weight faster. Lemon helps to keep those pesky hunger pangs at bay, as well as setting you off on the right foot first thing in the morning. You feel cleaner and healthier, so therefore are more reluctant to eat that slice of cake. Since I’ve started drinking lemon water every day, I’ve noticed that the uncomfortable bloating feeling that was so much a part of my life has all but disappeared. My skin is a lot more hydrated and I generally feel much healthier – although I do spend a considerable amount of time in the bathroom! Why not start your day with a cup of hot lemon water and try to add a slice or two throughout the day to a desk-side beaker? Previous Post Baby Face Beauty Bar: A Donkey’s Milk Face Cleanser! I start every morning with the juice of half a lemon in water. Agree on all points, it's great for your health!Don't forgot to rinse mouth out with water or even milk to help nuetralise the effects of the acid on your teeth. So glad i found this post, I am the same iced water is better than normal so possibly iced and lemon is the answer thank you! I'm pretty certain lemons can't cause a hole in your stomach! Maybe if you were sucking on multiple a day for years on end, but a little lemon water isn't going to do you any harm. HiI've heard this before and have tried it and would wish to have it daily as the benefits are great, but practically as im normally short for time in the morning I want to know, is it ok to have breakfast straight after, especially milk with cereal or porridge? As i think lemon and milk can be a bad combination, causing the milk to curdle in the stomach?…………what do you think? I have coffee pretty much straight after and it's fine – it's not like you're sucking a whole lemon, it's more subtle. I also have it in a juice flask with a straw to drink on the go! Yes definitely – I drink it all day, every day hot and cold. Add a few slices of cucumber to your water to get a great taste dimension to it too. Most mornings I have warm water with the juice of about 1/2 a lemon, my skin is clear and it definitely helps digestion. During the winter, I'll sometimes have it at night too when I want something warm to drink ~ curbs sugar cravings too! very cool. would using graprefruit or orange deminish the benefits? i like them better than lemon. I've heard so much about drinking lemon water and after this post and all these comments I think I'll give it a go!! I love everything about this post. it started with me waking up one morning after I drunk damn near a whole thing of JimBeam with no appetite for food the previous night. I woke first thing and headed to the store the local Walmart for a case of water otw home I finished two bottles I'm one of those ppl that don't mind the taste of water and actually likes drinking it. by the time I'm back in bed I google "the importance of water" I clicked some reddit looking link and it broke down all these fun facts about water. I read the whole thing took it for what it is. I noticed while I was still googling I immediately felt better. hangover gone. I felt like I could run and never stop. I felt so energetic!! i jus felt good overall. so my next search was "water changed my life" and bam! after a couple links I'm here. I read everyone of u guys comments. this is from 2014. I'm definitely adding lemon from now on whenever I can til then I will still drink more water.